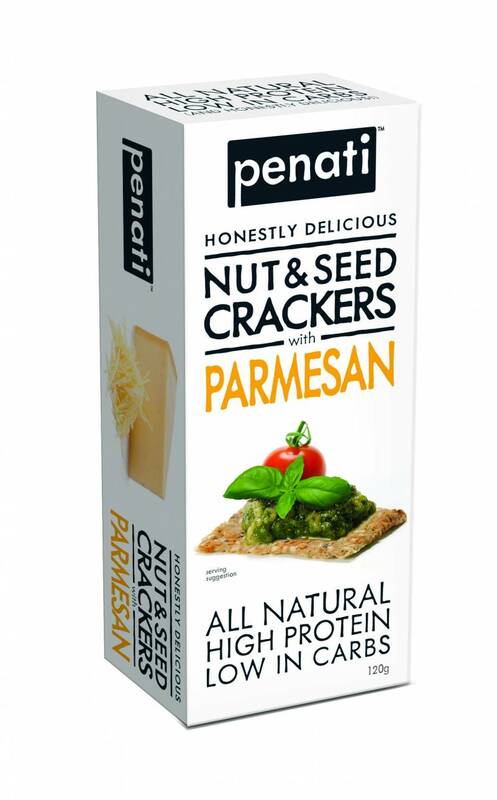 A cracker like no other, our Parmesan Penati taste divine and are seriously moorish. INGREDIENTS: Peanuts, Sunflower Seeds, Sesame Seeds, Parmesan Cheese [Milk, Culture, Rennet, Salt, Enzyme, Tapioca Starch, Rice Flour], Chia Seeds, Salt. AND THAT'S ALL! Made using 40% Peanuts, 41% Seeds & 18% Parmesan. 3 times more protein than ordinary crackers. 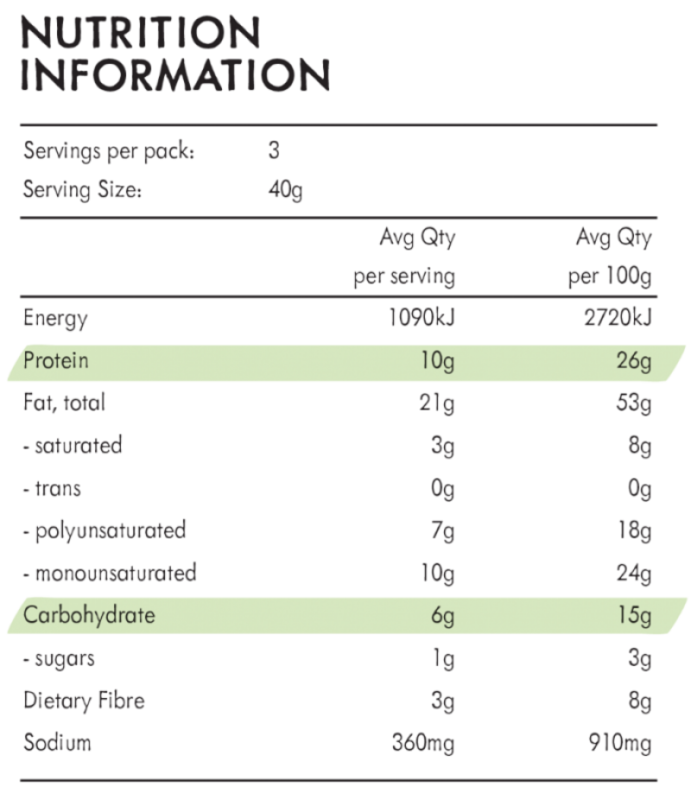 Produced on the same machinery as products containing Gluten (from a range of cereals), Egg, Tree Nuts, Soy & Sulphites.